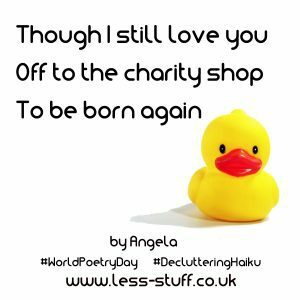 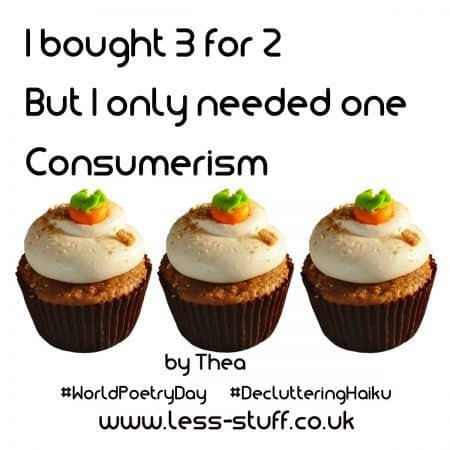 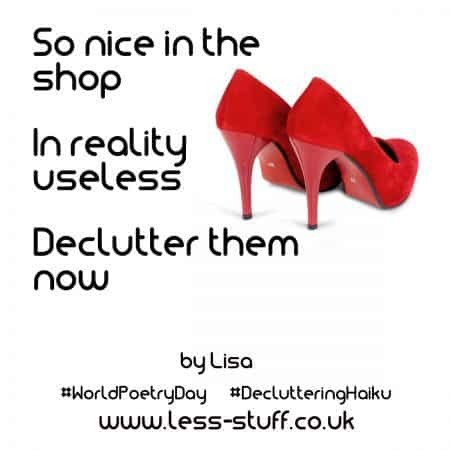 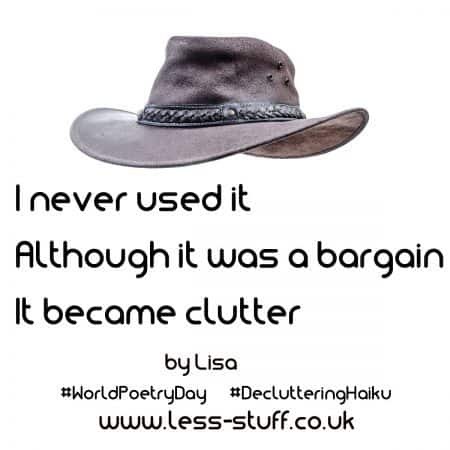 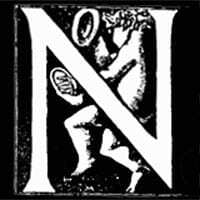 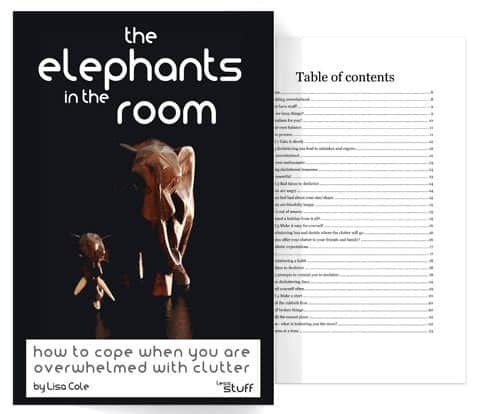 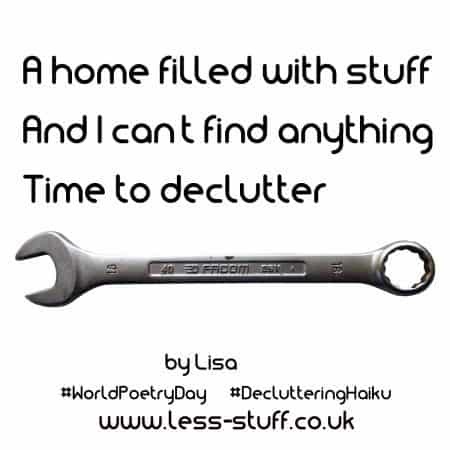 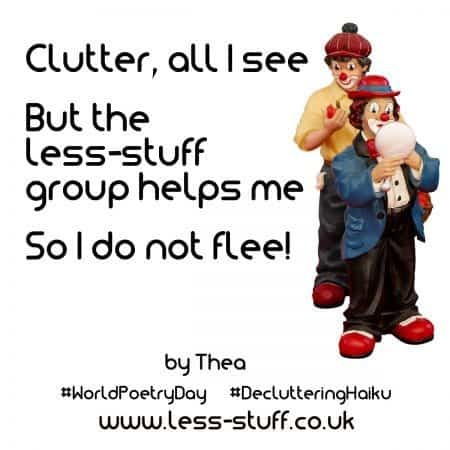 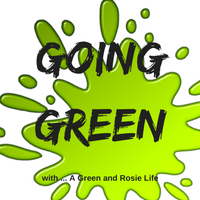 World Poetry Day is on the 21st March and last year, in the less-stuff Facebook group we had a play around with decluttering Haiku. 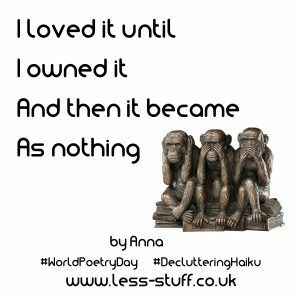 Haiku is supposed to be 5 syllables, then 7, then 5. 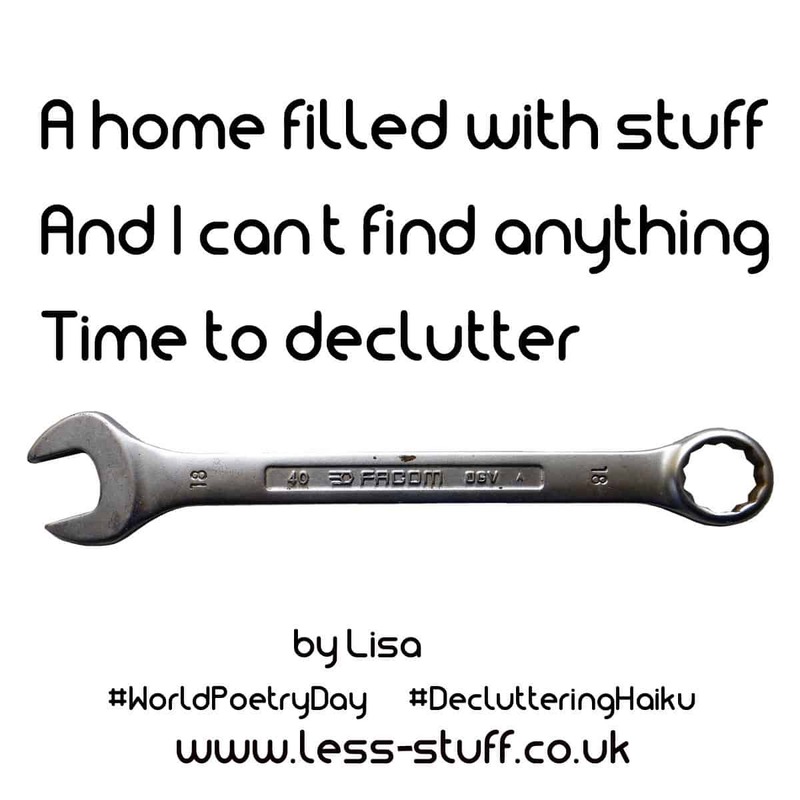 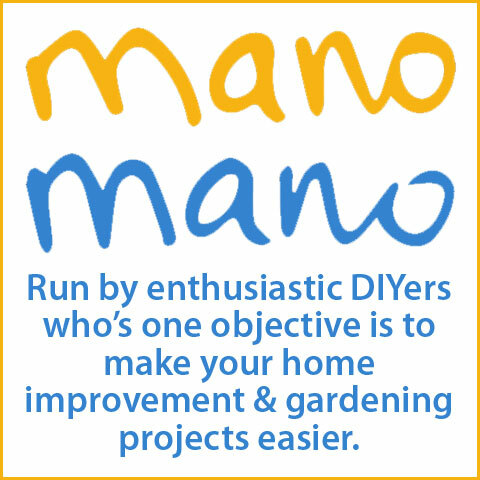 One of these has a syllable missing but it is so beautiful I’m calling that a syllable decluttered. 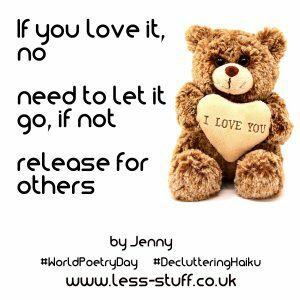 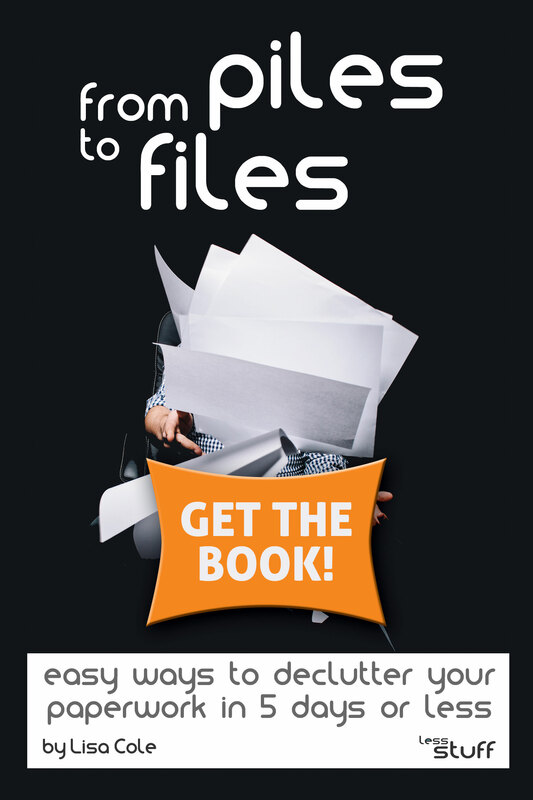 So I do not flee!